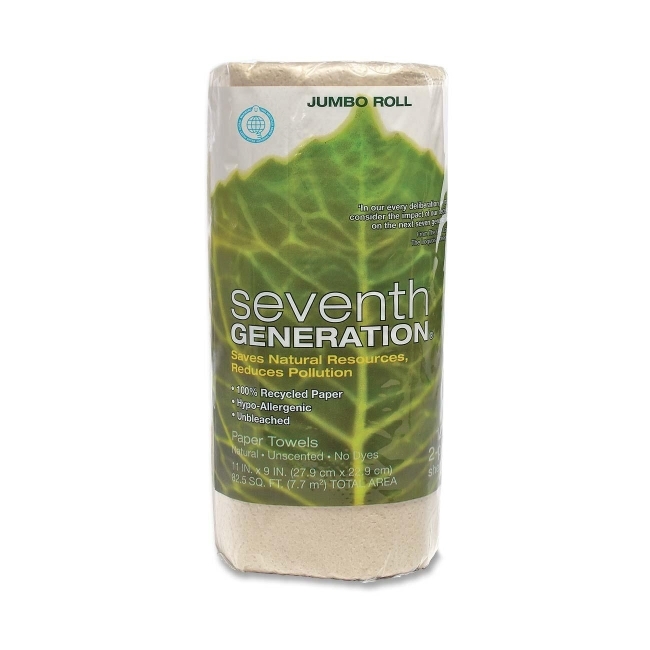 Jumbo roll, natural brown paper towels are made from 100 percent recycled paper with 80 percent post-consumer material. Buying products made from recycled paper helps reduce the need for virgin wood pulp, which means more trees are left standing. Hardworking, two-ply paper towels absorb spills quickly, even when wet. Lint-free paper towels are ideal for cleaning windows and other reflective surfaces. 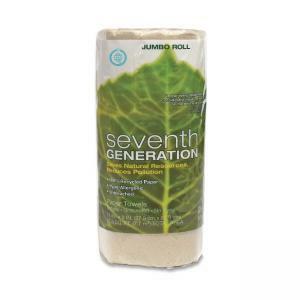 Hypoallergenic, unscented towels contain no added dyes and fragrances. Each roll includes 120 sheets.